Southern Spain lures travelers with glorious weather and all the scenic perfection that’s required for proper heart stealing but that’s not why I fell for the sleepy charm of the Costa Tropical region. Less well-known than neighboring Costa del Sol, Costa Tropical hugs the Mediterranean coastline, boasting a rugged landscape of cliffs, coves and beaches. There’s nothing like trying street food to gain a glimpse into a culture. In Costa Tropical, the beach culture is centered on chiringuitos, or traditional beach bars sprawled directly on the beach and serving grilled delicacies and drinks. Originally just shacks with cane roofs, they have evolved into modern, covered terraces but the chiringuito hallmark remains on old boat filled with sand and a wood fire for grilling. Espetos de sardinas, or sardine skewers, are the classic offering, grilled into a silvery brown finish. Locals instructed me on how to eat espetos; popping the whole sardine into my mouth and washing it down with sangria. 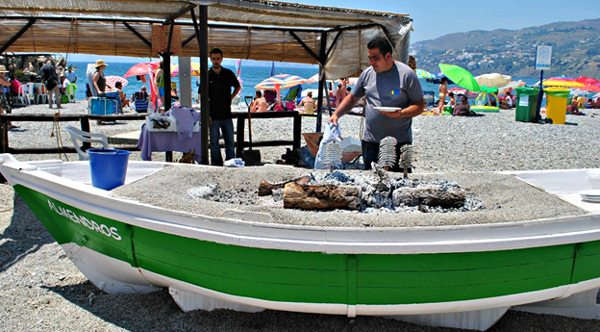 PHOTO: Grilling espetos de sardinas on Playa del Penon. 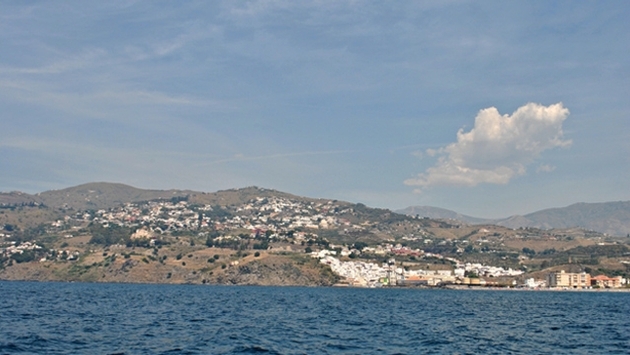 The white-washed town of Salobrena is about 45 minutes west of Granada, perched at the foot of a hill. Looming over the narrow labyrinth of flower-decked streets is a Moorish castle dating from the 10th century. 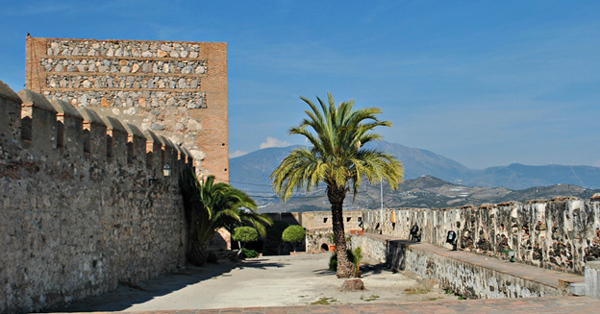 Although Costa Tropical is home to several castles, Salobrena’s is the most striking and accessible. The cobblestone streets are steep, but bursts of bougainvillea and hibiscus make for a pretty journey. I felt like a marathon runner near the finish line when I finally reached the top of the hill. Entering the limestone archway, I was rewarded with an eye-popping view of the coastline lined with sugarcane fields and fruit trees. PHOTO: The view from the top of Salobrena’s Moorish castle. Yeah. Ancient Roman ruins and beach vacation don’t exactly go together in my mind either but that’s what makes Costa Tropical so interesting. 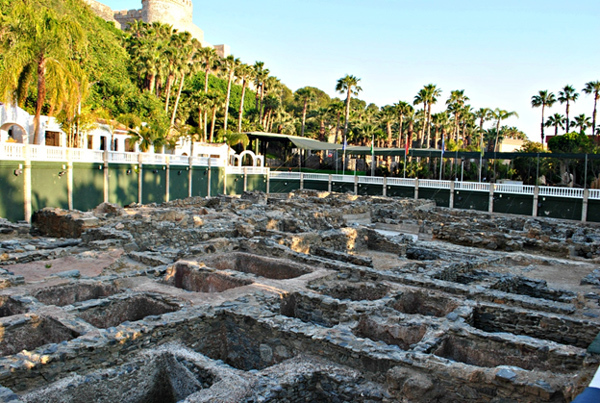 In the bustling town of Almunecar, which was settled by the Phoenicians 3,000 years ago, the remnants of a fish salting factory unfold at the end of the expansive El Majuelo Park. The Romans used the factory until the 4th Century AD, when the town’s most famous export was garum, a paste made from fish guts. Fortunately, I saw no signs of that little snack in modern Almunecar. Strolling around the site, I could picture the vats and aqueduct tunnels filled with fish and salt. The park also hosts a botanical garden and sculpture walk, supplying an afternoon’s worth of culture and history all in one spot. PHOTO: The ruins of an ancient fish salting factory. The medieval streets of Almunecar’s Casco Antiguo or Old Town, showcases the old world flavor of Costa Tropical. The maze of cobblestone paths and alleys is closed off to cars so you can wander aimlessly through the plazas, cafes and shops. Browsing through the Moroccan rugs and textiles, I felt like I was transported back to the 15th century, when traders came from all over the region to exchange goods. If you visit on a Friday, don’t miss the open air market that fills the streets with produce, crafts and handmade garments. Edged by the Sierra Nevada Mountains, the rugged coastline of Costa Tropical supplies not just an assortment of beaches, but also a range of cliffs and coves. Many locals enjoy diving from the cliffs and protruding rocks; they even give them affectionate names like el picachillo (little peak). If you’re like me and prefer more serene beach activities, exploring the many secluded coves and cliffs is another option. El Caleton cove near Salobrena even offer the chance to watch dolphins playing. Are you a fan of beach vacations? 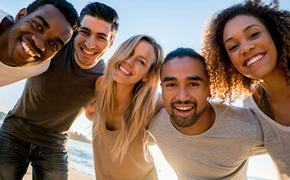 What kind of activities do you prefer when you travel to beach destinations?